"Our holiday scored 10 out of 10." "We have had a wonderful time, enjoyed the pool with the family. Loved the peace and quiet. Creperie was amazing. Emily and I walked to the bakers every day, we saw a tiny frog one day!! I really enjoyed the pool, table tennis and badminton. Also, I have enjoyed the board games. Thank you for letting us have a great stay. Maisie, Porlock Somerset"
"I absolutely loved it here! THANK YOU SO MUCH!" "Thank you so much both – fab 2 weeks. Loved the gite and the pool. This was such an amazing place to stay!! They gave us fresh tomatoes (which were delicious). There is a nice little town about a 5 minute walk away!! We were able to walk to the village Boulangerie every morning!! There is an amazing swimming pool and provided table tennis and badminton! It was so nice to relax under the warm sun every day by the pool!! "Becoming a bit of a home from home here!!" "Our 6th stay here – and as normal the weather has been superb, the hosts their normal selves and the gite is everything we need. The hosts continue to be great and are always happy to help with whatever is needed – unless Steve&apos;s playing tennis, when you don&apos;t get a look in!! P.S Chinese Buffet in Fontenay is great value!!" 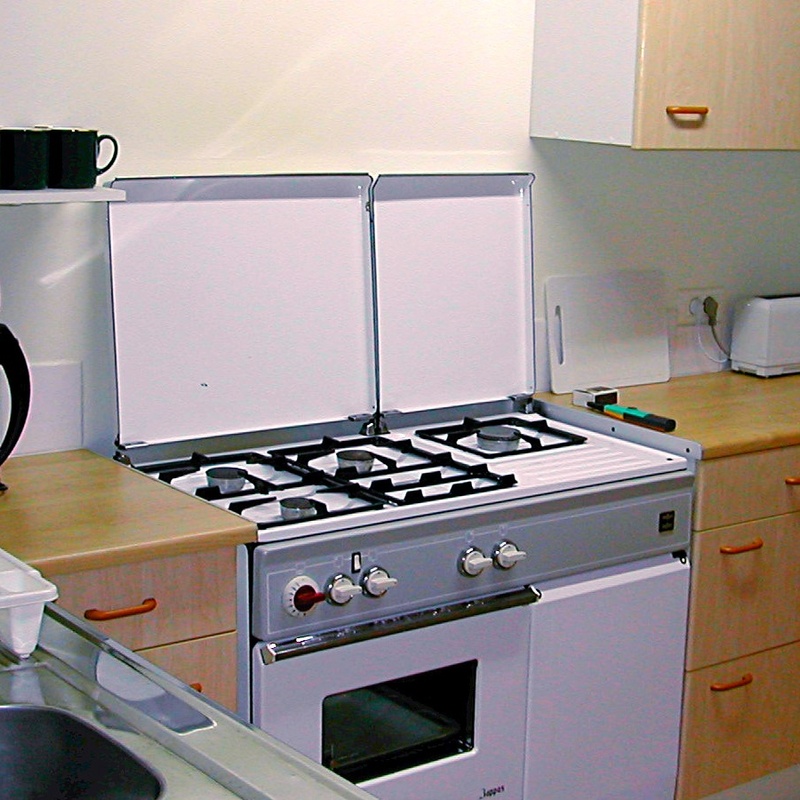 "We were blown away by the friendliness and helpfulness." "We booked really late so had no idea what to expect, but we were blown away by the friendliness and helpfulness of you both. The local area is crammed full of sights, places, experiences, and culture, so we had a fabulous week! Thanks again for a truly memorable stay." "Amazing hosts for whom nothing was too much trouble." 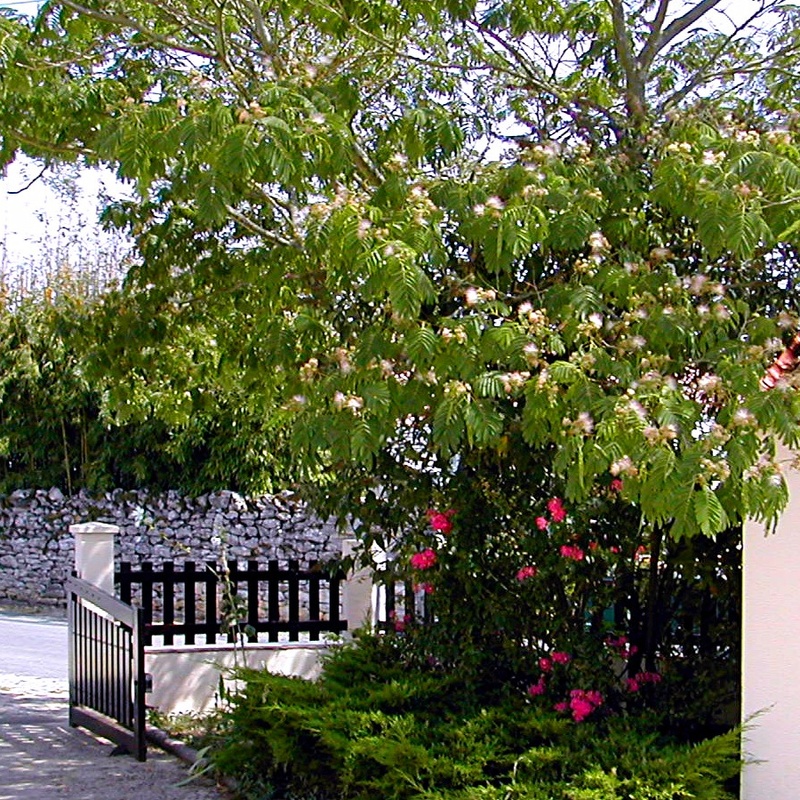 "Thank you both for a great holiday in this very comfortable gite. Amazing hosts for whom nothing was too much trouble. Excellent pool, great access to the village – watch out for the kingfishers and frogs on the short cut. Lots of places to visit in the area." "It has been an absolute treat." 3) The Venise Verte villages (we took a canoe trip from St Hilaire La Palud – quieter and cheaper than many places like Maillezais/Coulon) and Show More 4) Visiting picturesque Vouvant It has been an absolute treat to have so much so near to hand. We have loved our many walks into the village (5 mins) – to buy baguettes, to visit the excellent Creperie, or simply to enjoy the local wildlife – spotting herons, kingfishes, a red squirrel. Just keep your eye open!! We have had an excellent and refreshing holiday. Thank You"
2) The Creperie – 3 visits!! 3) The Abbey and 4) boat Hire at Le Mazeau (with nice cafe) We also visited La Rochelle and the Aquarium – good but so busy, especially after experiencing the peace and quiet here. We don&apos;t want to go home, and would be keen to come back!! Best Wishes"
"The children really enjoyed the pool and the table tennis!!" 3) Niort – we found it easy to park at the Hotel de Ville car park (multi storey) Show More 4) Parcabou in Fontenay le Comte is open from 2:30pm, prices on their website – for climbing in nets in the trees. We enjoyed our meal in the Creperie in the village and recommend it. Thanks again – we&apos;ve had a thoroughly relaxing time"
"The scenery in the area is amazing, particularly at sunset." "Many thanks for a fantastic fortnight in the gite. The pool is fantastic and the constant friendly atmosphere made everything nicer. Everyone we met was lovely and we are bringing home some amazing photos. Thank you for the hospitality as well. The village creperie and restaurant (the hotel) are amazing – both had great service and magnificent food. The scenery in the area is amazing, particularly at sunset, which creates unique landscape photos. Every last detail has been considered and adjusted so that our stay was wonderful"
"Always a real tonic coming here." "What a wonderful time, spent with friends yet again ! We&apos;ve loved the laughs, chats & wine into the evening. Always a real tonic coming here. Peaceful, idyllic, but check out the noisy frogs if you go for an evening walk and not forgetting the glow worms !! Plenty of walks into the village, for bread & supplies & just to enjoy. Wonderful pool & so relaxing. But best of all have been the laughs and chats, much merriment. Thank you so much – you&apos;re a joy to know"
"Swimming, canoeing, cycling – eating, drinking !!" "Lovely week chez &apos;Merlot&apos;, wonderful mix of doing absolutely nothing and &apos;compulsory&apos; exercise – swimming, canoeing, cycling – eating, drinking !! "Enjoyed the Abbey and can recommend the hotel in the village." "Thank you for making our week here pleasant and relaxing. Enjoyed the Abbey and can recommend the hotel in the village for a meal. Many thanks again for the lift back from the Hotel during the thunderstorm"
"The gite, gardens, and pool are of such a high standard." 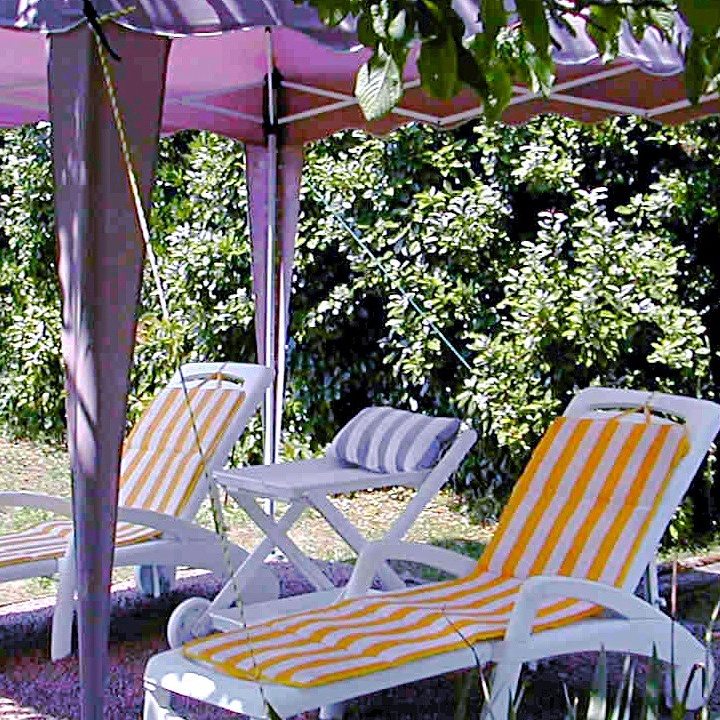 The gite, gardens, and pool are of such a high standard – every detail taken care of. Thank you! Coulon was very pretty – would love to go back and hire a boat. Cycling in Mervent Forest was also lovely. Saw a kingfisher each time I crossed the river to the village. Beautiful"
"Peace and relaxation have been priceless." "What a fantastic time! Perfect hosts – thank you for all your advice and courgettes – not to mention the evening chats and laughter!! We didn&apos;t actually &apos;do&apos; a lot but peace and relaxation have been priceless. The accommodation is absolutely wonderful and the pool has been exceptional. Weather has been incredible. Lovely walks to the village each day and went in the Abbey and Elienor of Aquitaine&apos;s house. The boulangerie and charcuterie are well worth visiting. The creperie was also a must. Went to Chateau Terre Neuve which was stunning. Can&apos;t wait to come back. Thanks"
"This is definitely somewhere we would love to come back to." "We have enjoyed a fabulous week at the gite. Jess and Jake have been in the pool every day. The creperie in the village was delicious and we enjoyed the walk to the village by the river where we spotted kingfishers and frogs. We have had some lovely days out to the Aquarium at La Rochelle, a walk through the forest and by the lake at Mervent, a day at Puy du Fou, and a guided boat trip from St Sigimond. Thank you for your kindness and hospitality, helpful suggestions and the courgettes!! This is definitely somewhere we would love to come back to"
"It&apos;s nice to find a pool with a real deep end." 8) Finding the boat over the river on chains Home now to try to make gallettes with the flour from the Mill. Thank you for a lovely stay"
"Thank you so much – we hope to be back." "We have had a lovely week in a lovely gite – so sad to leave. I booked for a week of relaxation after a challenging few months and we got that in bucket loads !! Pool is fab, and a walk into the village a real treat. Haven&apos;t done much else, a trip to La Rochelle was thoroughly enjoyable and it&apos;s somewhere worth another trip. Pizzeria at Oulmes is lovely, and we enjoyed a couple of trips to the Creperie. Thank you so much – we hope to be back"
"The gite is high standard and the pool – well – what can I say?" "What a fabulous week in the Vin de Merlot attended to by lovely hosts. The gite is high standard and the pool – well – what can I say? Cycling every morning – mainly in the Venise Verte and back to the pool every afternoon for at least 3 &apos;dips&apos;!! Thank you both for a wonderful weeks&apos; relaxation"
"Great fun!! 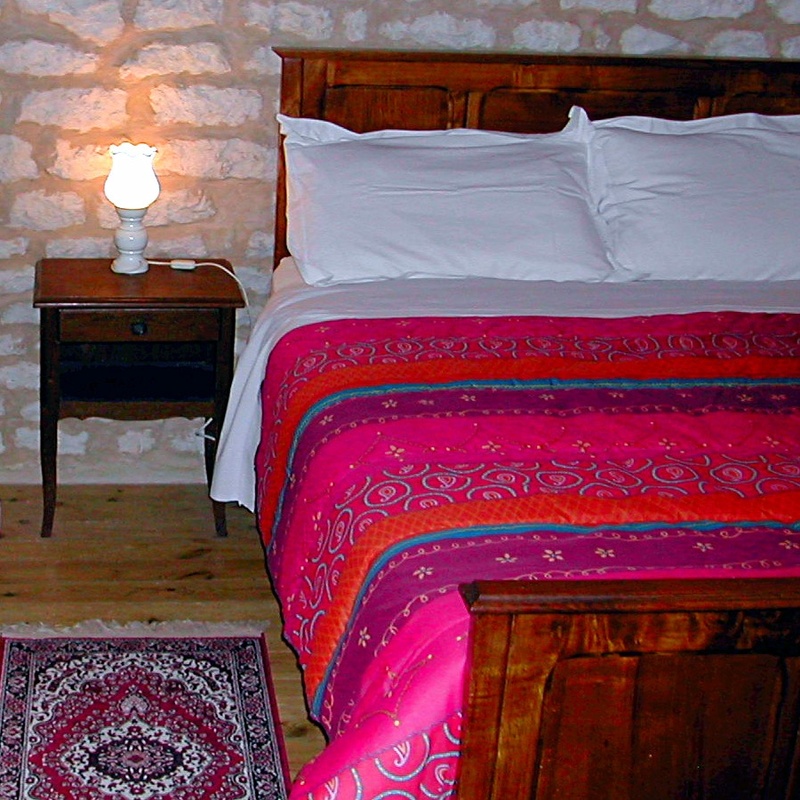 Gite and hosts come highly recommended." Thank you both for all your tips and guidance. Plus the 6 nail balancing trick – we got there in the end with much help. Great fun!! Gite and hosts come highly recommended"
"The pool is a real bonus"
"A memorable holiday – thoroughly enjoyed our stay. Thank you both for your guidance and recommendations on places to go and eat – also for your attention to the pool and grounds. It makes a place special. The pool is a real bonus – gave me the confidence to start swimming again after an accident. Will be making the six nail board and would recommend the gite and hosts"
"It was hard to fault anything." This is my favourite holiday so far. As it had lots of activities to do such as table tennis, swimming pool, badminton and some good restaurants. We had the best hosts ever. So &apos;THANK YOU&apos;. Matthew age 11"
"We should have booked 2 weeks instead of 1 !!" "Fabulous holiday! Accommodation and hosts perfect. Location gives peaceful way of life but also central to many interesting places. Our only complaint is – we should have booked 2 weeks instead of 1 !! We have thoroughly enjoyed our stay here. We travelled by light aircraft into Fontenay le Comte aeroclub who were also very accommodating"
"Great location, well equipped gite." Thanks to our hosts for the courgettes and all the helpful tips and advice over the past couple of weeks"
"A lovely pool and garden for a lazy few hours each day." "A wonderful, relaxing, and thoroughly enjoyable 2 weeks in the haven that is the Vendee. Thank you firstly to our hosts for being perfect. Recommend Coulon, Lucon, and Fontenay for visits. Butchers and bakery both top notch and very helpful. Creperie and Auberge definitely worth a try as is the Pizzeria in Oulmes. Lastly, a lovely pool and garden for a lazy few hours each day. What more could you ask for? See you for now!" "This is our third visit to Chez Gites and we'd come back again." "The sign of a good holiday to me is feeling so relaxed that after two weeks you&apos;re not wishing to come home. This is our third visit to Chez Gites and I can honestly say – we'd come back again. 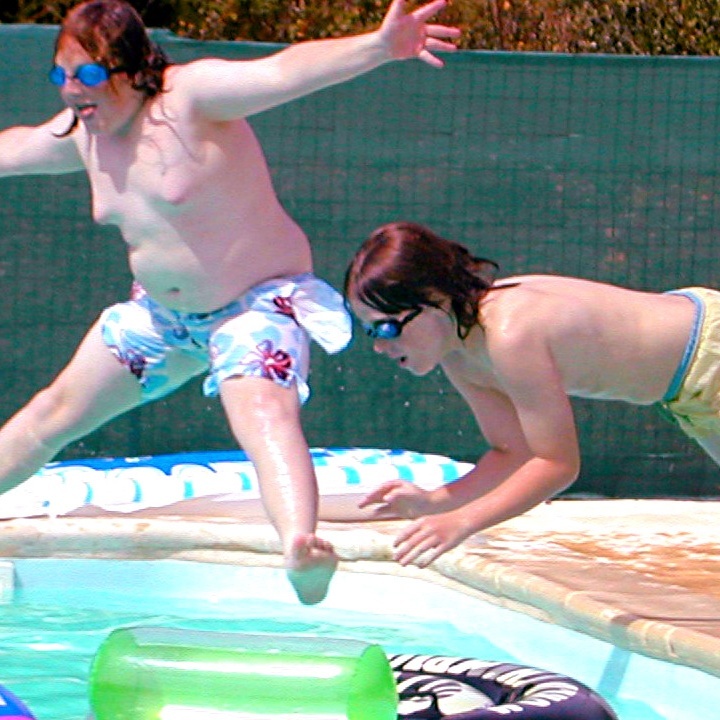 The hosts are great fun, the Pool is spotless and now heated even better than before – even though in the temperatures we experienced it&apos;s nice to cool off a bit and the gites are really well kitted out. The village is beautiful and there is plenty to see and do – even if you&apos;ve been before. Show More It's a lovely area of France and seems to have its own micro climate. and just eating fresh bread, cheese, fruit etc and drinking a nice red in the gardens is fine to me. Two boys were never bored, (12 & 8) and when you&apos;ve got a family, if the kids are happy, you're happy too. Try the bakery – and the creperie – but you might need to book – it&apos;s extremely popular – always a good sign though. Thanks once again R and S - It was a pleasure." "We&apos;ve enjoyed a lovely week here – thanks so much for being so welcoming and also recommending some great day trips. We enjoyed a day in La Rochelle (a one hour drive) where we had a fantastic lunch in a restaurant called &apos;La Petite Auberge&apos;, which we found on TripAdvisor and was well worth a visit. We spent a morning hiring bikes in the base de loisirs, in Mervent (15 minute drive) where there are beautiful lakes for boat hire and many well marked bike trails to follow, suitable for beginner bike riders thankfully!! On our lazier days, the pool was fantastic and the gite had everything we needed. Thank you again!!" "Hope you enjoy your stay as much as we have!!" 2) Beach – we went to La Tranch sur Mer a couple of times – lovely beach and local shops/restaurants, but need to take a parasol if hot as no shade on beach Show More 3) La Rochelle – fantastic old town – could do 2 days exploring here – great restaurants and Aquarium We had a bad weather day and so went to Futuroscope which was very good as we could dodge the rain in the experiences. Hope you enjoy your stay as much as we have!! "It has felt really like a home from home." "We&apos;ve had a fabulous week here. The facilities are great and it has felt really like a home from home. The village is lovely and the park and river are well worth spending time at. "Hope you have as good a time as us. Thanks again." "Thanks both for your help and abundant knowledge of the local area. Had a great relaxing 2 weeks, have to go home to detox from sampling all Steve&apos;s wine recommendations! As other recommendations, boating a must and we greatly enjoyed swinging in the trees in Mervent – Parc Aventure – they speak great English – very good fun. Hope you have as good a time as us. Thanks again"
"So envious of everyone who still has their holiday here ahead of them!!" Top tips for others – the brand new swimming plage at Chassenon–le–Bourg; boating on any bit of the Green Venice – we started from Maillezais, cycling anywhere and everywhere (we were so glad we brought the bikes with us); the coast at Ile de Re; Puy du Fou was great for a cool day – can&apos;t think of anything quite like it in the UK. Thanks again." "A lovely holiday and we don't want to leave!!" "What a wonderful week we have had. A lovely gite with fantastic facilities and brilliant hosts. They could not have been more helpful and welcoming and made our holiday that much better. We also went boating at Coulon and also at Damvix, which was great fun and the forests around Vouvant are worth a stroll around. A lovely holiday and we don&apos;t want to leave!!" "Kids adore the place and pool and have always something to do." "Yet again – another fantastic 2 weeks in the Vendee. Weather has been superb and we have had an even more relaxing time this year. HOT HOT HOT 50C/40C in the shade!! Phew! Kids adore the place and pool and have always something to do. This year we tried kayaking and canoeing in Mervent which was great fun. Niort is nice to visit and Coulon always nice to see again. Thanks both once again for making our stay so great." 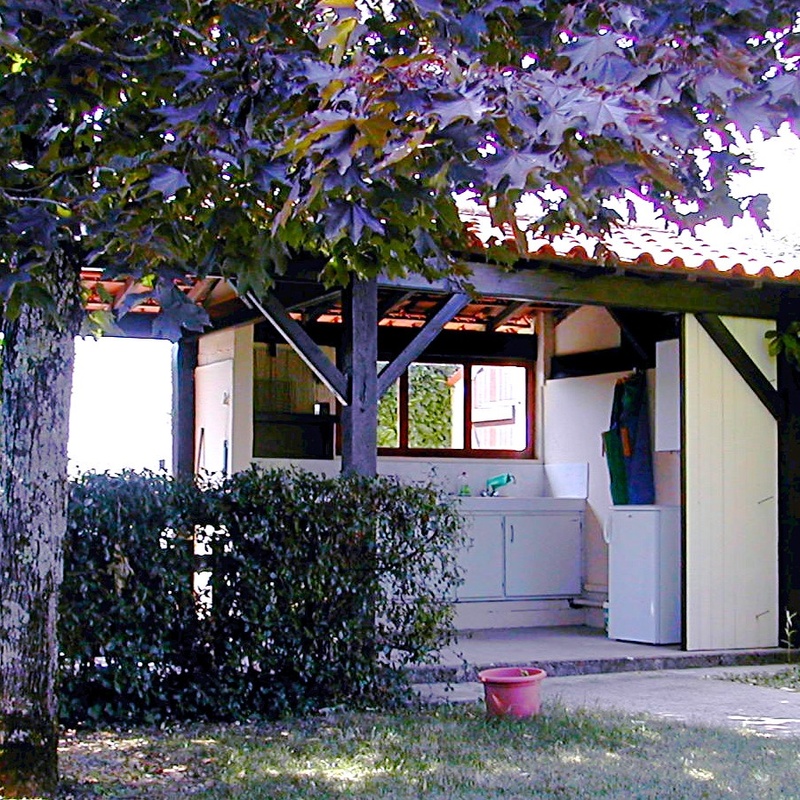 "One of the best appointed gites we have had." 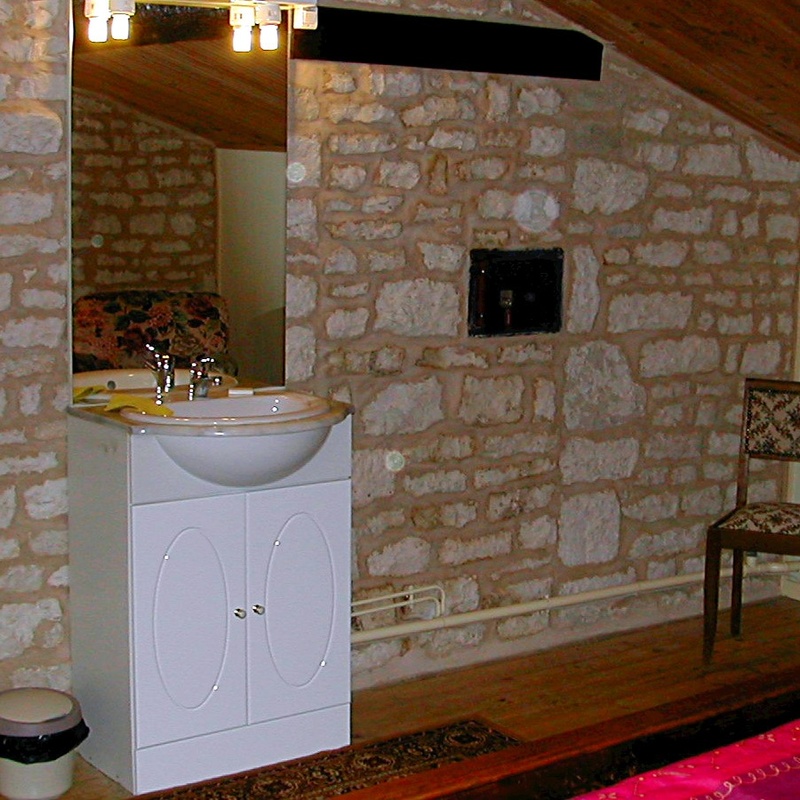 "We have used French Gites for some 15 years and this is one of the best appointed ones we have had. Do visit the village (use the short cut – lovely views). The Auberge and the Creperie are good and will provide good food and wine at reasonable cost and within staggering distance! Super U and Leclerc at Fontenay will provide anything else including diesel and petrol at rock bottom prices. Free WI–FI on site and in the gites and at McDonalds at Super U.
Punts/Canoes can be hired at Damvix but we found the trip aboard the &apos;Bateau Mouche&apos; from there excellent value – 4 course meal, wine, aperitif, and 3h45min canal cruise for 45 euros per person. Any problems or advice just ask Steve who couldn&apos;t be more helpful"
"Definitely a gite worth coming to again." 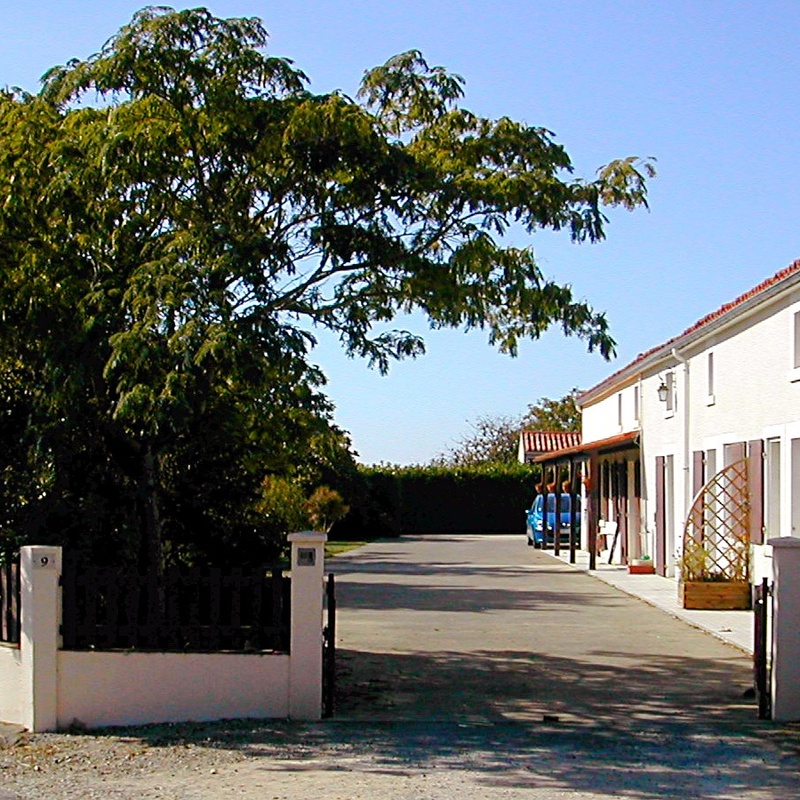 "Lovely gite, beautiful setting, excellent pool, charming, helpful hosts. A perfect spot and set–up for a totally relaxing holiday which was what we all needed. We spent most of the time at the gite, reading, sunbathing, swimming, table tennis, and, of course, eating and drinking ! Definitely a gite worth coming to again; will recommend it to others and may well return ourselves with more in tow ! Ah well, here&apos;s to spending one last delightful stress free day on site. A stroll down to the Moulin to buy some bread flour to experiment with and a walk around the Abbey. A late afternoon swim in the pool and a scrummy BBQ ably prepared by Martyn!" "Lots to do in the local area." Lovely gite, very peaceful. Lots to do in the local area. Enjoyed the cycling and boating in Maillezais and can really recommend the &apos;L&apos;Auberge de l&apos;Abbaye&apos;. Definitely an area to revisit"
"One of our best holidays." One of our best holidays, Great location for going to lots of places, very peaceful, favourite days out were to La Rochelle, the &apos;barque&apos; (like punting) at Maille and Vouvant. the pool is excellent and our hosts gave just the right touches to make the holiday just what we expected. Am fully refreshed." "Our two boys can&apos;t wait to come back next year !!" "Thank you both for a wonderful two weeks. Our two boys Matthew & Callum have had a brilliant time and can&apos;t wait to come back next year !! The pool is superb and the area is a super area to explore from. As other guests have stated, Puy du Fou is brilliant, Green Venice a must, and La Rochelle nice to visit – if busy. The abbeys close by are well worth a visit also. 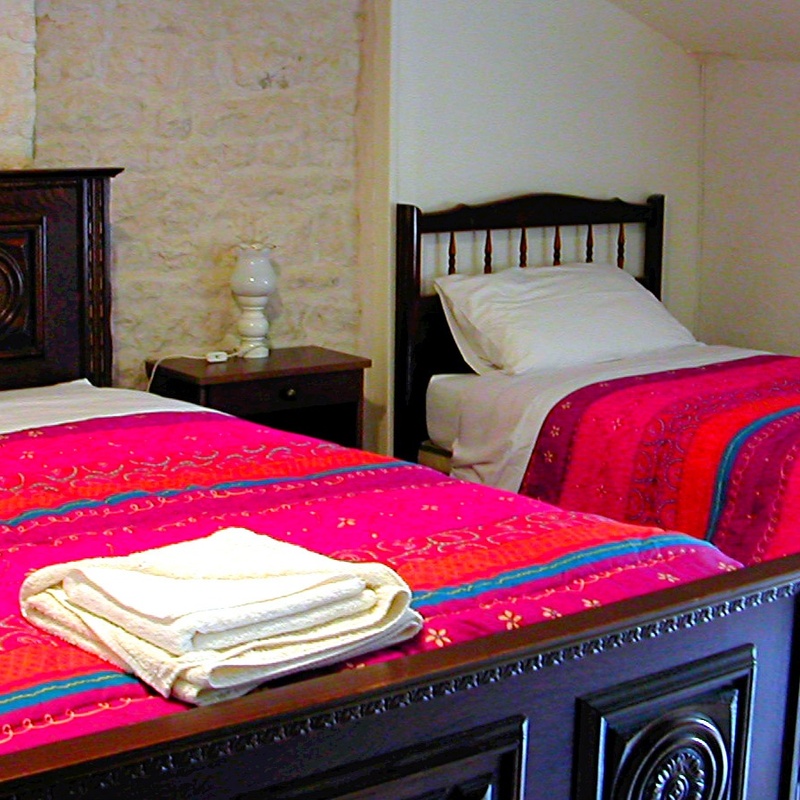 Thanks to you both for your hospitality"
"Cannot recommend Chez Gites highly enough !" There is so much to try to pack into 2 weeks, and then leave some time to laze by the pool too. We had a really good time at Puy du Fou and also the Aquarium at La Rochelle. There is still lots left that we didn&apos;t have time to get to. Once again a wonderful holiday – hospitality is superb! Cannot recommend Chez Gites highly enough ! Thank you for a holiday which sends us home renewed and refreshed"
"The children loved the pool, and we all enjoyed badminton and table tennis." Show More The children loved the pool, and we all enjoyed badminton and table tennis, plus our daily walk to the bakery – if you like croissants, get there early or, like us, have a lie–in having ordered the day before. For a reasonably priced, really nice meal we recommend l&apos;Escargot Vendeen on the main road through Oulmes Thanks to Steve for all his tips and advice – without him pointing things out we would not have had so many highlights. Thanks for a lovely time – loved the kitten by the way"
"A wonderful place to unwind, many thanks for all your help." "Thank you for a lovely holiday – excellent facilities. Excellent pool and hammock, the courgettes and cucumbers were very nice too. We would recommend a visit to the Abbey in Nieul sur l&apos;Autise – great multimedia presentation. We travelled over to Ile de Re and if you decide to go there, try a meal in La Flotte overlooking the harbour. Boating in Coulon was great fun although we had to shelter under the trees to avoid some sharp showers of rain ! The rest of the time we simply relaxed by the pool or read under the gazebo. A wonderful place to unwind, many thanks for all your help." "I&apos;ve had a blast !" Thank you both for a wonderful time this past two weeks, I&apos;ve had a blast ! I especially enjoyed going to Mervent with our canoe and, of course, the gorgeous kitten ! Thanks again." 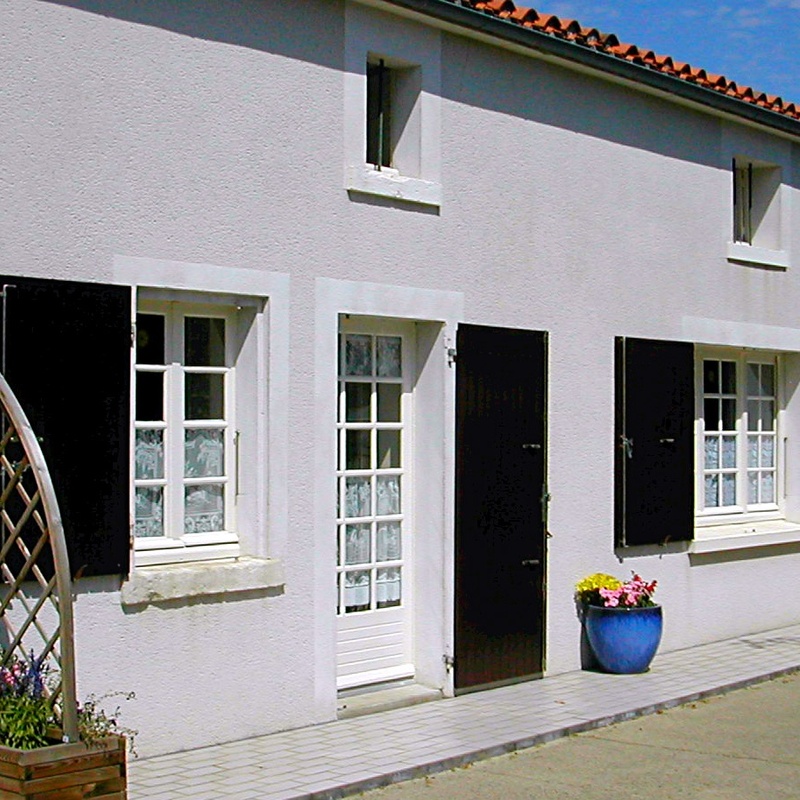 "A lovely gite with great hosts. We would recommend visiting the Abbey, Mervent Forest, and Vouvant. We enjoyed cycling and boating and lazing by the pool – very peaceful. I enjoyed the beach at Ile de Re, lovely restaurants wherever you go, I also enjoyed thoroughly the boating at Mervent Forest. Loved the pool !! Lots of things to do. I&apos;d definitely recommend the Abbey at Nieul sur l&apos;Autise, and boating in Maillezais." "The boats at Coulon were a wonderful trip through the marshes." "Had a wonderful two weeks here at Chez Gites. Many thanks for making us feel welcome and at home and for all your local knowledge and advice, not to mention the fabulous tomatoes and courgettes !! Enjoyed all the facilities here, especially lazing by the pool watching the boys do all the energetic stuff. The beach at La Tranche sur Mer well worth a visit – huge waves and interesting rock pools. The boats at Coulon were a wonderful trip through the marshes. The Saturday Market at Fontenay – very colourful. La Rochelle a lovely medieval town that we enjoyed greatly. Going home relaxed and refreshed, with happy memories of our stay – hope to be back soon." "I really can't compliment this place enough." "What a fantastic holiday we&apos;ve had. Our thanks to you both for creating such a delightful environment. 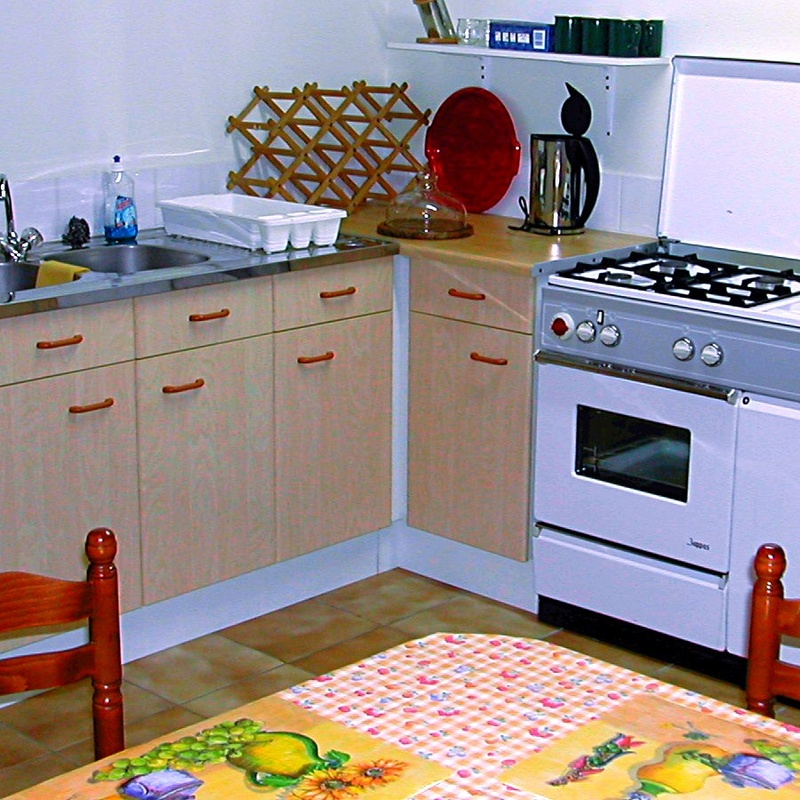 The gite is tasteful, comfortable, and spacious, as well as having really good quality equipment. The pool is wonderful and we really haven&apos;t found any need to venture too far a field. 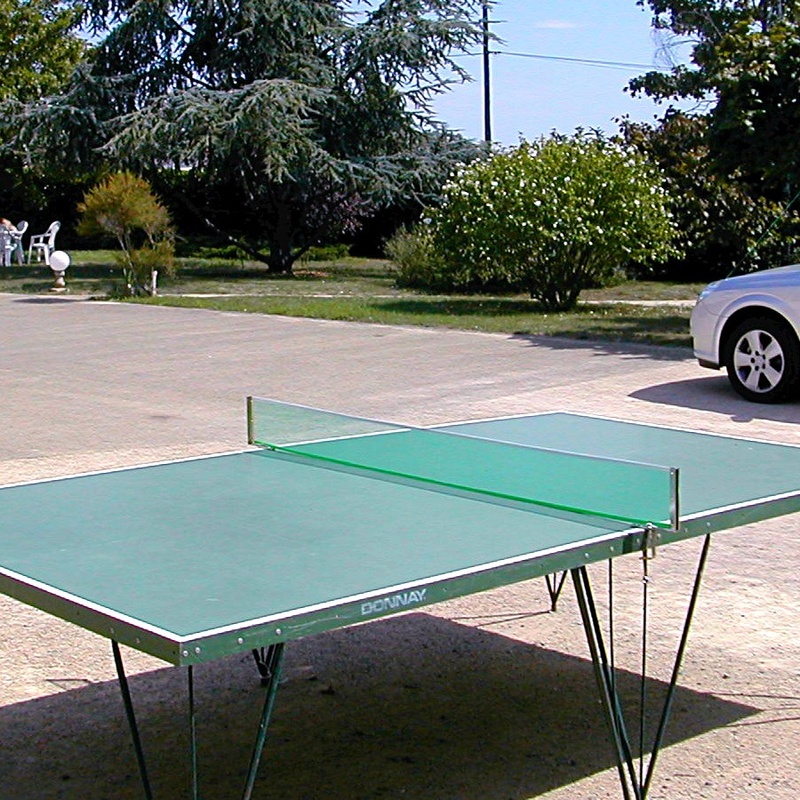 In addition, having badminton, boules and table tennis on site is a real bonus. Nieul itself has everything you could possibly need within walking distance and is at the same time a really attractive village. That notwithstanding, there is also the Abbey, which is wonderful. Dinner at the hotel is recommended. I really can&apos;t compliment this place enough. We have been spectacularly lazy, or relaxed, and leave feeling very much refreshed!! "We have also consumed far too many baguettes and croisants !!" "Thank you very much for providing us with two very enjoyable weeks here in Nieul sur l&apos;Autise. We have particularly enjoyed the local Abbey, cycle route, Coulon, Creperie, Boating Trips, and our accommodation (not to mention the swimming pool !!) We have also consumed far too many baguettes and croisants !! Thank you again for being such friendly hosts and giving us a pleasant, memorable holiday." "Our 3rd visit, and probably our best yet." "Our 3rd visit, and probably our best yet – a combination of fantastic weather and excellent surroundings and company. It was delightful to take an evening stroll to the village and watch the heron on the weir, and go rabbit watching on the way home. Such a relaxing place to stay – going home with our batteries recharged ready to face the British rain !!" "Relax & Enjoy – we have." "It&apos;s only a few pages since we wrote last year !! Fantastic weather has meant a very relaxed time. La Tranche (park in central beach car park) has a great family beach. We have done our favourites again – the Abbey, hotel, and creperie in the village always great value. La Rochelle aquarium very good, go early – it opens 9:00. Show More Flea market at Fontenay Saturday morning well worth a visit – go to the indoor market for fish, meat, and bread. We have discovered many excellent wines, buy from Hyper U or Leclerc at about 3 to 4 euros. Fishing in the village is good fun, we caught rudd roach and perch. Cheap equipment in the supermarket. 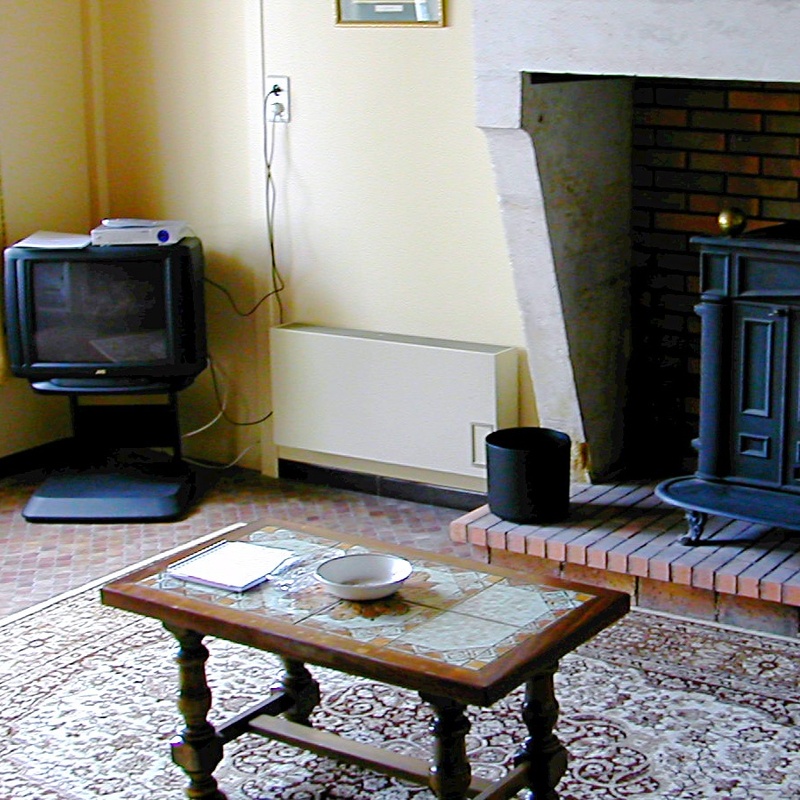 "The gite and surroundings are fabulous – very spacious inside and out." 2) &apos;Puy du Fou&apos; is immense. Great for children or adults, but plan on £25 a head for the day. If you have some basic French, you don&apos;t need a translator. As previous people have said, get there at 10:00, Vikings first then Gladiators. Take a brolly in case of rain as it&apos;s 90% outside Show More 3) Market in Fontenay is great fun. Not too big and not a lot of &apos;fall apart&apos; clothing !! Upstairs in the indoor area if you like your seafood – moules are very cheap there !! 5) Make sure you explore Nieul sur l&apos;Autise. It is 5 minutes past the mill. The restaurant at La Cloitre is great value – very authentic food at miniscule prices – try the &apos;duo&apos;. And pick the wines from the mantelpiece for the top quality ones ! We had the last Cotes de Borg 2005 – sorry !! 7) Wines – we stocked up in the Loire on the way down. &apos;Fiefs Vendeen&apos; is the local VDQS. Good value – good fun. Buy from the producer at Pissotte (very nice chap !!). Or there are a few caves at Vix. The other producers (at Mareuil) are a bit of a long drive away, but &apos;Marat&apos; is the best. You can buy his wines at a local wine shop in the centre of La Tranche (about 1 euro more expensive, but they have the whole range). 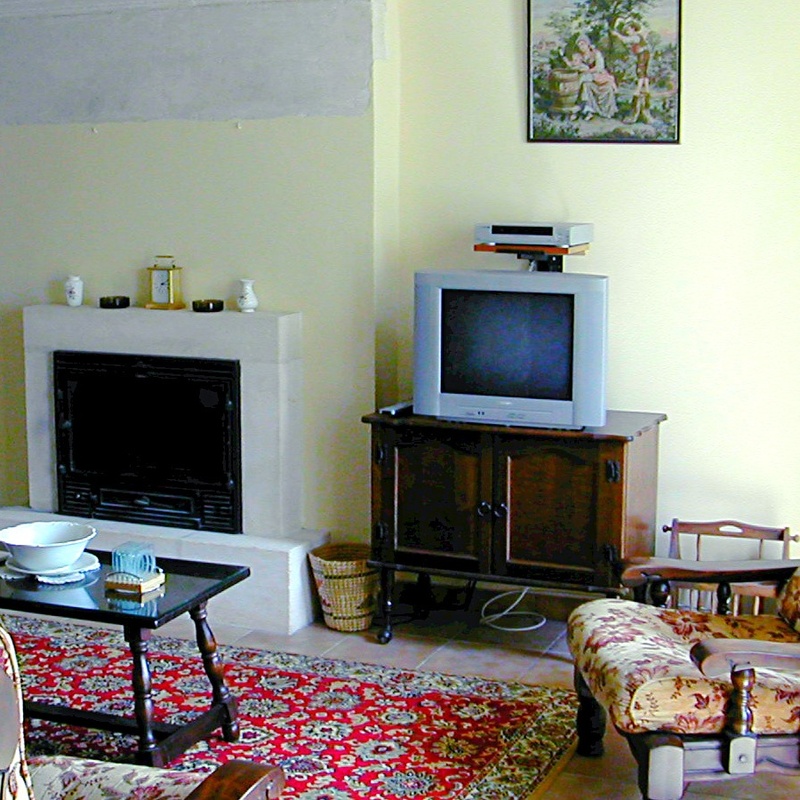 Enjoy ... As others have mentioned, the gite and surroundings are fabulous – very spacious inside and out. An excellent pool and badminton, table tennis and swings to supplement the non–aquatic amongst us. We lived in the outdoor kitchen, but never quite mastered the BBQ. Better luck next time !! Thanks for the relaxed laid back atmosphere. Although it is a shared complex, it always felt &apos;ours&apos; to use." "We will take home wonderful memories of our &apos;Bastille Celebrations&apos;"
"What a wonderful, relaxing holiday. The girls enjoyed the pool and all that the site had to offer. The Abbey at Nieul sur l&apos;Autise is beautiful and well worth a visit. The walk to the village to buy our daily bagette made a peaceful start to each day. Our hosts were great, and we will take home wonderful memories of our &apos;Bastille Celebrations&apos;"
"It really is only 5 mins walk along river." 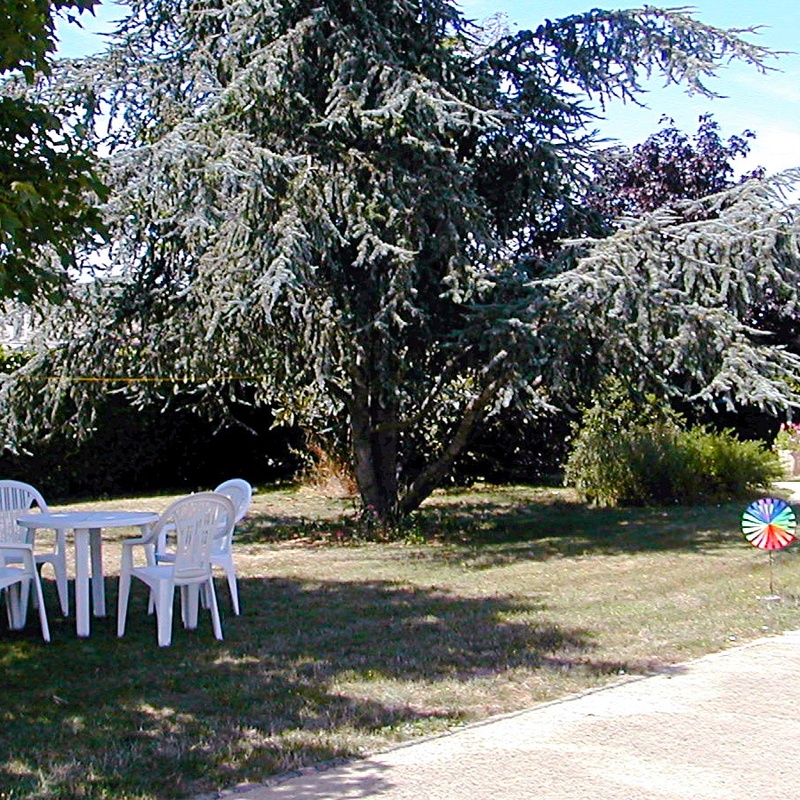 "Superb spacious gite, surroundings, fab pool, BBQ, and summer kitchen which doubled up as an excellent poker games room !! Fab hosts gave excellent advice on wines and places to eat and visit. Bakers in Oulmes good. We enjoyed visiting La Rochelle (get there early), Coulon, Maillezais Abbey, Fontenay market, and beach at La Tranche sur Mer. It really is only 5 mins walk along river, past mill into town to bar/restaurant at Hotel du Cloitre – excellent food. A big thank you"
"There is more than enough to do all within easy reach." 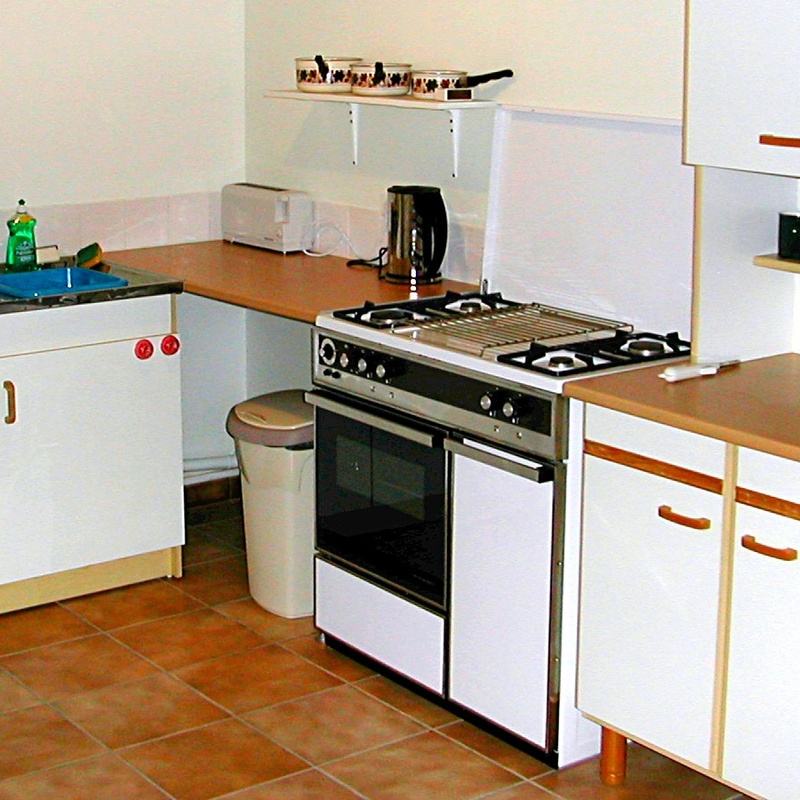 "An excellent holiday in wonderful surroundings – made all the better for superb accommodation and care and attention. There is more than enough to do all within easy reach – we have fished in the village, visited La Rochelle (aquarium a must for the children – then eat on the harbour side). Rowed the canals at Maillezais (cheaper away from the Abbey). Spent days on various beaches and of course lazed by the pool and introduced the children (8 + 5) to numerous card games. A great two weeks"
"Puy du Fou is a must and fun for the whole family." "This holiday has been fantastic. 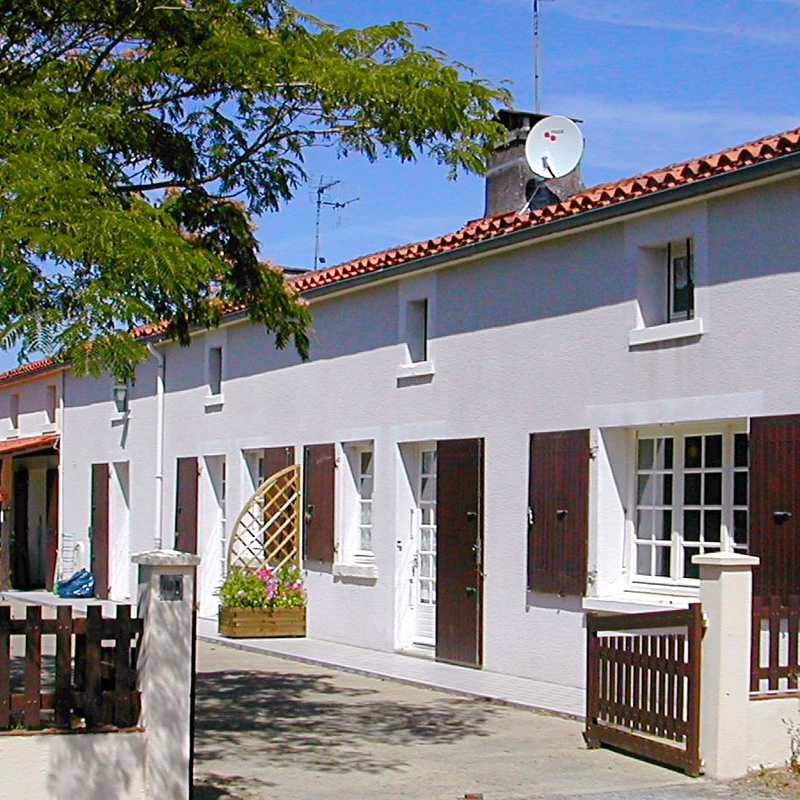 Gite exceptionally clean and information well received. Creperie (in the village) excellent value – food was very good too. Coulon is pretty, must try the boats there (sans batelier) – well worth a laugh. Puy du Fou is a must and fun for the whole family (70 miles or 1 hour 15 mins), have to be there on opening (10 o'clock – do the vikings first). For smaller children (under 12) Parc de Pierre Brune near Mervent is a good day out – hotel food okay but watch the wait. Market Saturday morning at Fontenay le Comte. La Rochelle (down by port/old ports) another nice day out. Many thanks for a great two weeks"
"Gite is very comfortable and the pool and barbeque are great !" 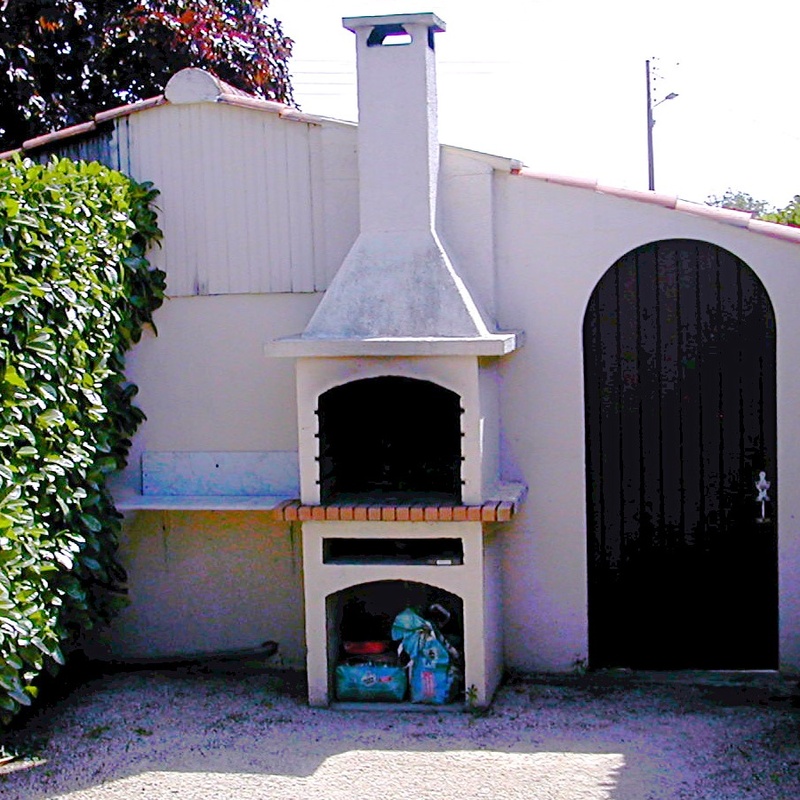 "We&apos;ve had a wonderful time – the Gite is very comfortable and the pool and barbeque are great ! The bakery next to the Post Office is better than that in the square and the E Leclerc on the Nantes road out of Fontenay is excellent. The &apos;batirs&apos; at Coulon are great fun and La Rochelle is a lovely town. Many thanks for everything"
"This place is GREAT !"" 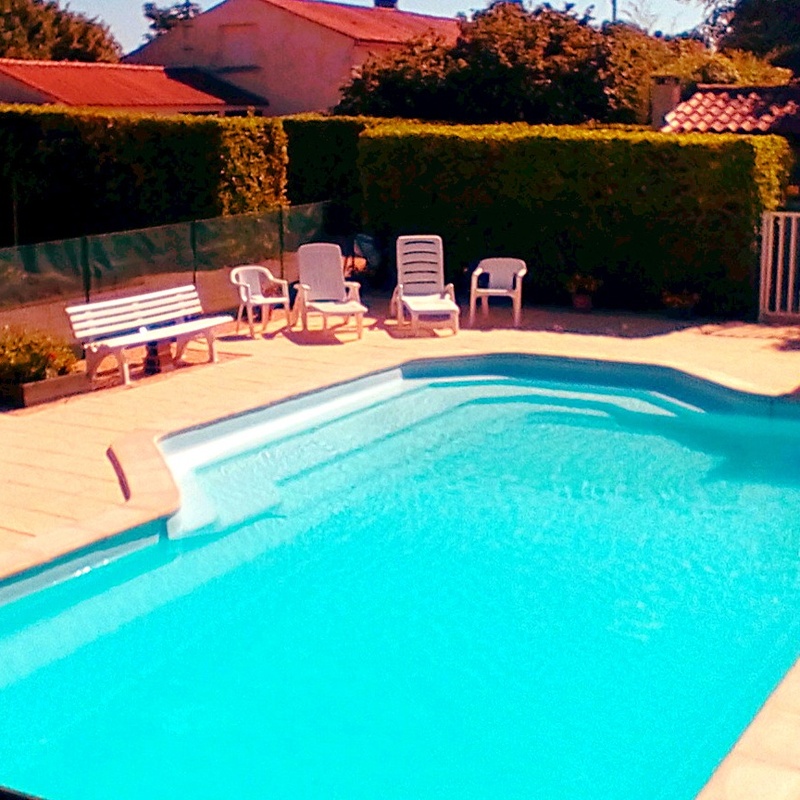 "Fabulous gite, swimming pool and hosts. Loads to entertain the children – many thanks. Puy du Fou is brilliant for kids and adults alike. Quite unique. La Rochelle town and aquarium well worth a visit. Beache at La Tranche sur Mer. Enjoyed rowing round the various waterways. We hope to return ! It is a great place and there is a Grand Park 1 hour away. With Bird dancers and Gladiators. A 5 minute walk to the Park with a tennis court and a big feild. A great swimming pool with table tennis and lots of games in the pool. The heat can get up to 40 C (104 F). Paul Best. This place is GREAT !" "Make sure you pick their brains !"" "We have had a delightful week despite the weather. There's so much to see and do that we'll be back at some time in the future. Many thanks for being wonderful hosts, giving advice on best places to visit, how and when is best to get there – good knowledge of local restaurants etc, so make sure you pick their brains !. 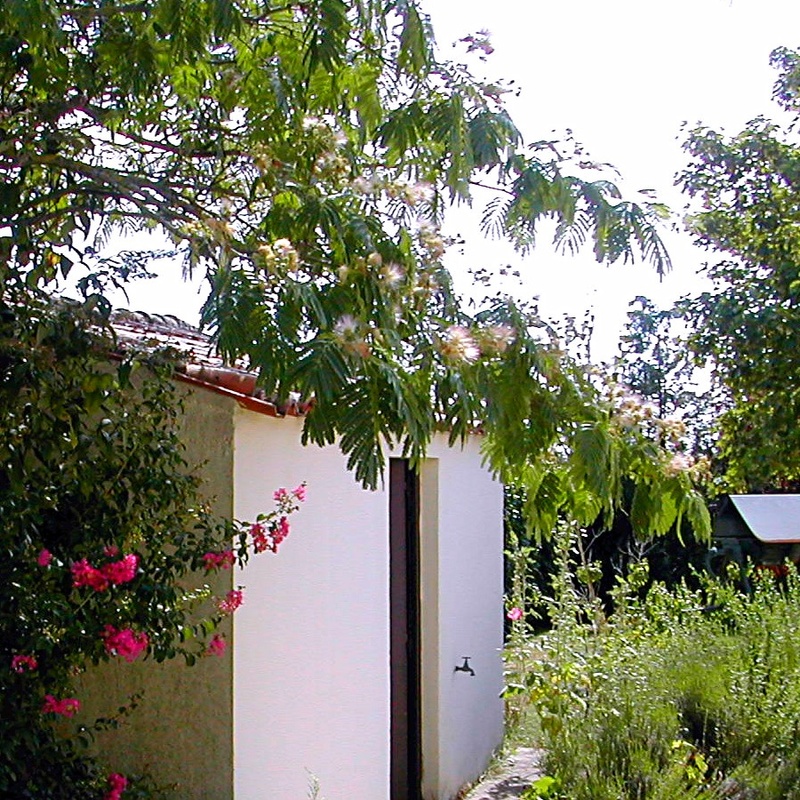 The gite and environs are lovely, well maintained and looked after. All in all we have been very impressed and will happilly pass on the details to friends that want to vaccance en Vendee – Au revoir"
"Would there be any vacancies left for for us ?!!"" "Another great break away from it all. Dilemma is, of course, letting everybody else know about 'Chez Gites' – would there be any vacancies left for for us ?!!. Thank you both very much for lovely gites, fab pool, quiet areas to read and play games in, eating and cooking al fresco and more exploring locally ... plus walnuts to leave with. Couldn't be any better!! See you again"
"I hope mam n dad bring us back here again."" Best swimming pool out of the gites I've stayed in France. And the cleanest. Marc Cox, age 10"
"We had one particularly successful day on the coast at La Tranche sur Mer""
"Thank you both for the clean and comfortable accommodation, the fantastic pool and BBQ, and for your helpfullness. The hotel here in the village serves excellent food and is very good value, particularly the &apos;set menus&apos; and the carafe(s) of house wine!! We had one particularly successful day on the coast at La Tranche sur Mer, about an hour from here. Tip – get there before about 11:30am and park in the &apos;300 free spaces&apos; car park. Go to the top end and park on the side near the beach if possible. The fun and interesting shops are within easy walking distance. You can hire windsurfers, canoes, cateramins, or small sailing dinghies with or without instruction. There is a small &apos;sea lake&apos; which is very safe for children or beginners. Coulon is also worth a visit and quite close to here"
"Well run gite with real attention to detail and comfort."" 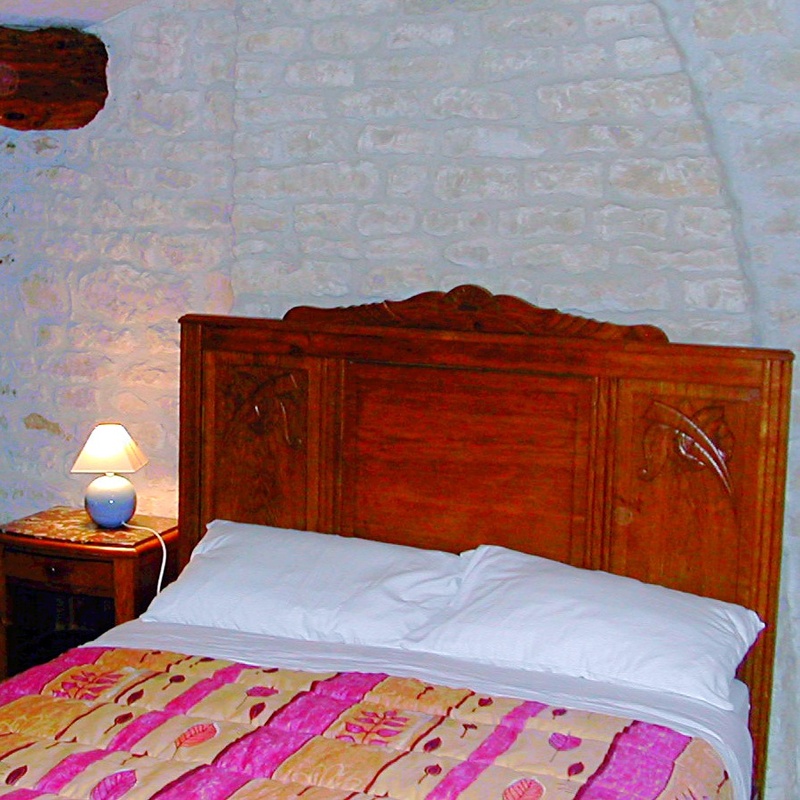 "A perfect relaxing place for a holiday, well run gite with real attention to detail and comfort. All we needed available on site. We loved the pool and outside kitchen area, lovely gardens providing sun or shade and lit up for eating outside or cool drinks in the warm evenings. It&apos;s only a short walk from the village centre for bakers, bank, restaurants and bars and the splendid abbey; and the surrounding countryside provides days of interesting and varied activities. 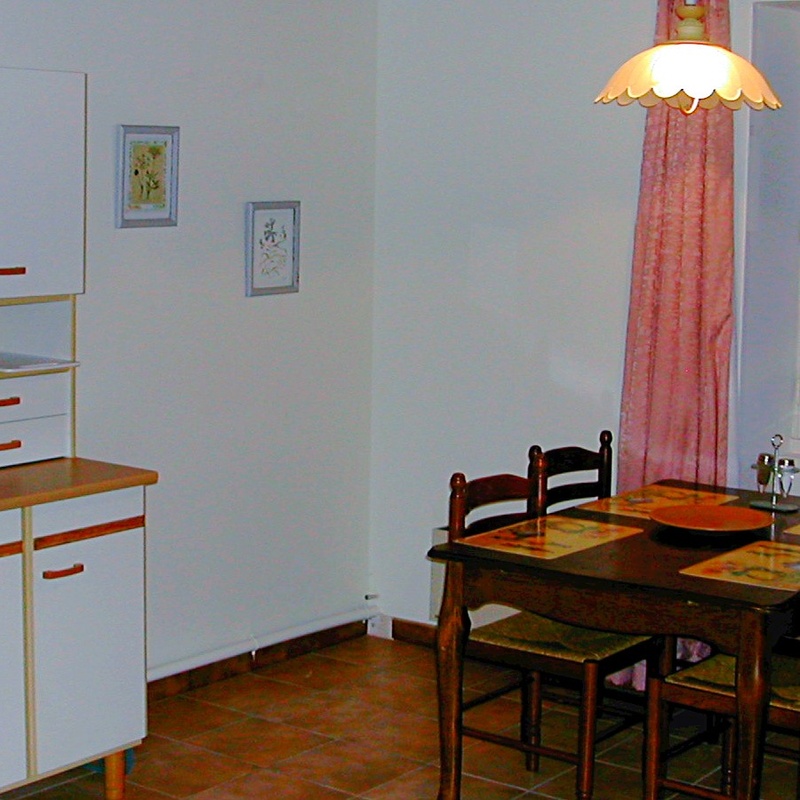 We have visited France over many years and this is simply the best gite we&apos;ve stayed in! Thank you both."